Dr Pak began his academic career in 1995 at Chosun University Medical School (Gwangju, South Korea) as an invited lecturer. Then, he was employed as a full-time lecturer at Dongshin Univeristy Oriental Medical School (Naju, South Korea). 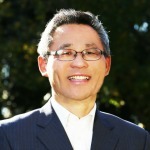 Dr Pak's new teaching career began at New Zealand College of Oriental Medicine (Hamilton, New Zealand) in 2002. Since starting another new teaching career at CSU in Bathurst from 2007, he has completed many teaching programs as continuing professional development. His area of research expertise specifically relates to introducing evidence based practice to Complementary Medicine research and practice; that has been based on laboratoryexperiments which incorporate modern medical technologies to identify and evidence the underlying mechanisms of treatment of diseases. Dr Pak is teaching Evidence Based Complementary Medicine. Park KD, Pak SC and Park KK (2017) The pathogenetic effect of natural and bacterial toxins on atopic dermatitis. Toxins 9, 3. Han SM, Kim JM, Hong IP, Woo SO, Kim SG, Jang HR, Pak SC (2016) Antibacterial activity and antibiotic-enhancing effects of honeybee venom against methicillin-resistant staphylococcus aureus. Molecules 21, 79. Ooi SL, Rae J, Pak SC (2016) Implementation of evidence-based practice: A naturopath perspective. Complementary Therapies in Clinical Practice 22, 24-28. Pak SC (2016) An introduction to the Toxins special issue on 'bee and wasp venoms: biological characteristics and therapeutic application'. Toxins 8, 315. Han SM, Pak SC, Nicholls YM, Macfarlane N (2016) Evaluation of anti-acne property of purified bee venom serum in humans. Journal of Cosmetic Dermatology 15, 324-329.